It is always exciting to speak with entrepreneurs using technology to change Africa. 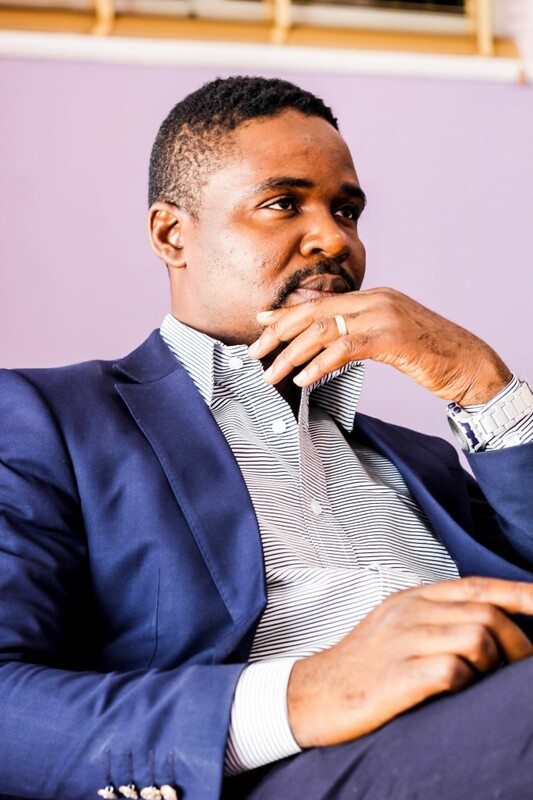 We caught up with Moses Imayi, Project Director, Skool Media on how his organisation building the 21st Century School. Here are five lessons budding entrepreneurs can learn from the Skool Media journey. Start small, no matter how small. Just start. Only be sure you are walking in the path of your dreams. Imayi had his days of small beginnings as we call it. He grew up in Surulere, and early in life, started working on youth issues; ran several projects with the Lagos State Government and represented Nigeria on many high-level panels across the world. In 2005, with partner, Toyin Olatayo, he started UNITES Cisco, an IT Certification programme across secondary schools in Nigeria. Today, he is the Project Director of Skool Media, a social enterprise that specialises in integrating technology into the education sector. Start. Volunteer. Intern. Just start. If technology is your thing, then, you need to have a wide network. Literally. Internet connectivity, if you like. But this is about dependable human connections. Skool Media and UNITES are in 65 secondary schools spread across five geo-political zones of Nigeria. 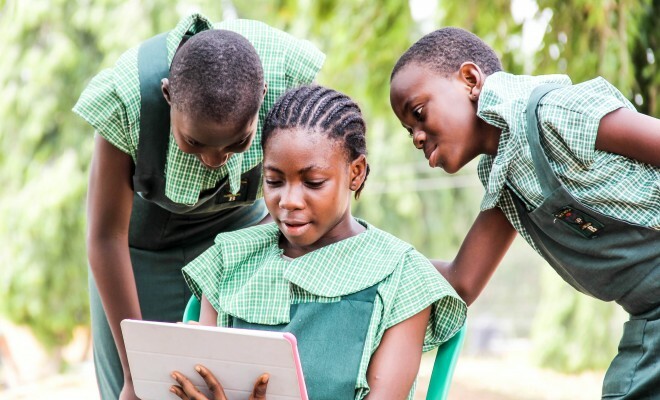 They recruit over 200 youths who work as ICT instructors in these schools and have trained over 8, 000 teachers across the country on how to use technology for education. By doing this, Skool Media builds a strong network of 21st Century teachers that impact quality education on students, making learning collaborative. Reliable human networks will connect you where internet connectivity fails. That may be a popular brand’s slogan but when it comes to the Skool Media story, it is an action phrase. When it started, there were naysayers: “But education in Nigeria is about chalk and paper?” “But the students don’t know how to use the tabs?” What if they spoil the tabs? What about power? What about this? What about that? There are always reasons why you should not do what you should do. Look within those reasons, therein also lie the reasons why you should do them. The Skool Media story says that much. Today, projector screens now complement conventional boards. Students now access classwork as MS Word documents, videos and illustrations on their Personal Educational Tablets. School Principals and Skool Media share the burden of power. So, just do it. Then, someone may notice your good work and support. A former Permanent Secretary of Education was visiting Queens College and saw the work Skool Media had done in the classrooms. Then called for a meeting. 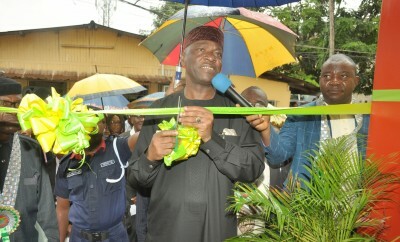 In 2015, the organisation signed an MOU with the Federal Ministry of Education on its technology in education project. In March, 2016, the partnership included Samsung who are now their technical partners. The wider the partnerships, the bigger the dream, the bigger the influence. 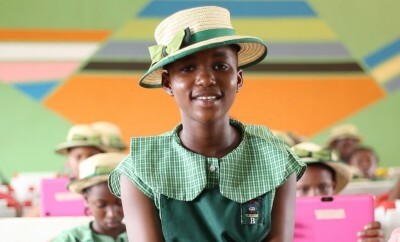 Now, Skool Media, Samsung and the Federal Ministry of Education will be digitising 104 Unity Schools across Nigeria. In June, 2016, the organisation will take part in ICT Expo, organised by the Lagos Chamber of Commerce and Industry—a gathering of IT and education enthusiasts. Walking solo may be good but when you work with great partners, you will go far. Skool Media thrives on partnerships—with schools, with Parent Teacher Associations, and more. We stumbled on the Skool Media story through their blog. It is a simple Tumblr page but with such great photography and inside office gist, who will not be attracted? Their Twitter following is trying to catch up fast with their Facebook likes but not bad at all for a company that only got its social media acts together this year. So, tell your story. Do it wth great media content. Watch out next for our exclusive interview on the Skool Media journey. This is an inspirational story indeed! I have known Mr Moses Imayi and Mr Toyin Olatayo for many years now and they have consistently sought to add value with their various projects. 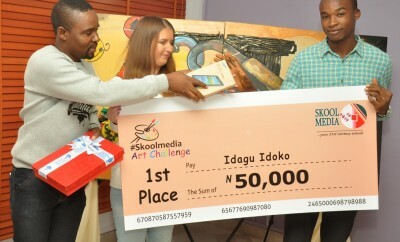 Skool media is a cutting edge concept that is changing the face of education in Nigeria. I have no doubt that it would grow beyond Nigeria and affect so many African nations and even beyond. It is just the tip of the iceberg. Watch out for this initiative in the next few years. It is bound to be a global brand! Well,whatever skool media is trying to do is hypothetical.it is another way of settling on cheap profits. Moses Imayi and Skool Media, the ICT partnership taking Educational advancement in Nigeria to the global standard. Truly a sense of pride to be affiliated to this team. For too long education has been ignored in this country and to see a man passionate about the true future leaders is most encouraging. I see our educational sector finally getting the competitive advantage of ICT integration.